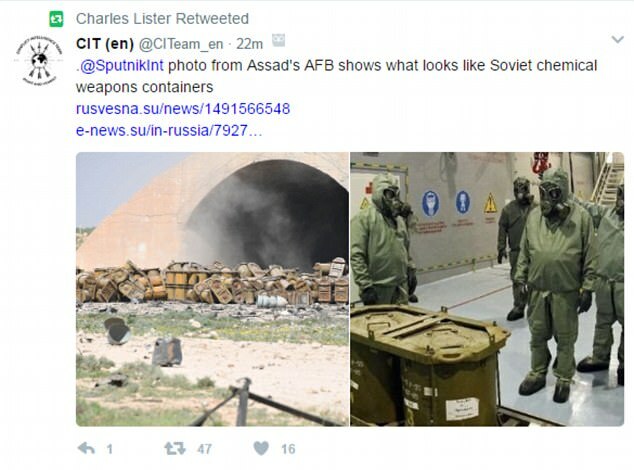 Is this proof Assad DID launch chemical weapon attacks from the base Trump bombed? 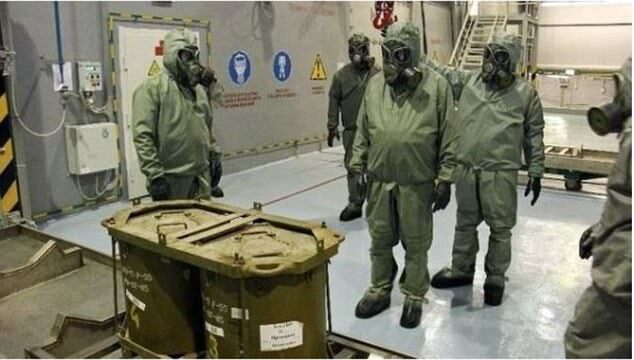 Images released on Russian media show containers ‘identical to those that store WMD’s’ at Bashar al-Assad’s Shayrat Airbase. US intelligence sources said the chemical weapons strike which killed at least 70 people was launched from the airbase just outside Homs. The Pentagon said all 59 missiles hit their targets while it was earlier claimed one had failed. President Donald Trump gave the go-ahead for the strikes in retaliation for this week’s deadly chemical attack in Syria, which the US believes was ordered by Assad. Senior military officials said the U.S. is looking into whether Russia participated in Syria’s chemical weapons attack earlier this week. 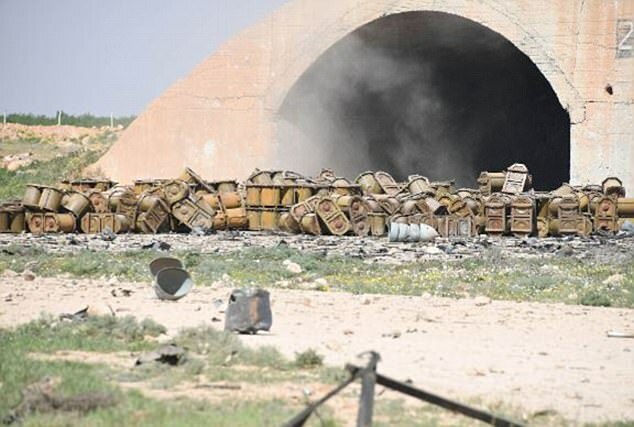 The officials claimed Russia failed to control the Syrian government’s use of chemical weapons.